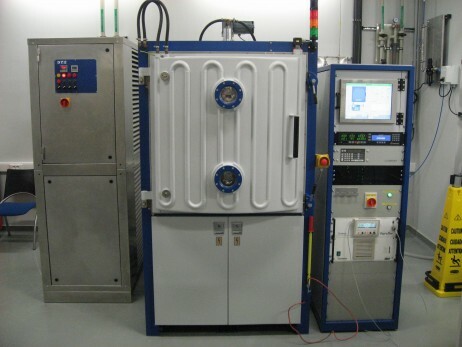 One of our clients who were active in the field of solar cell manufacturing recently shut down their complete factory only shortly after commissioning this new BAK760 system. 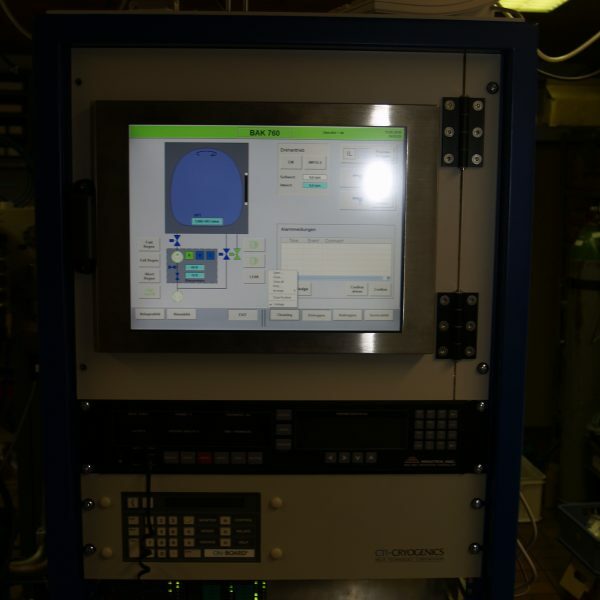 We have re-aquired this excellent, high specification, fully operational BAK-760 ebeam system which has been modernized and FULLY REFURBISHED in 2010 by ourselves. 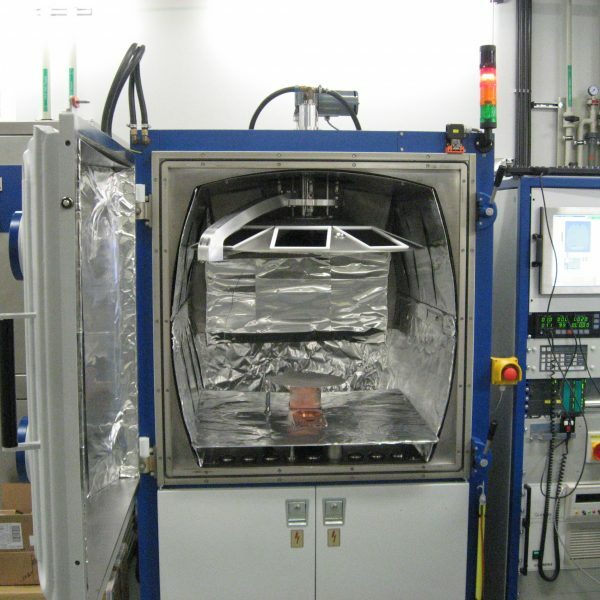 This system has been used for some general prototyping work; Aluminium deposition on Silicon substrates with high uniformity. 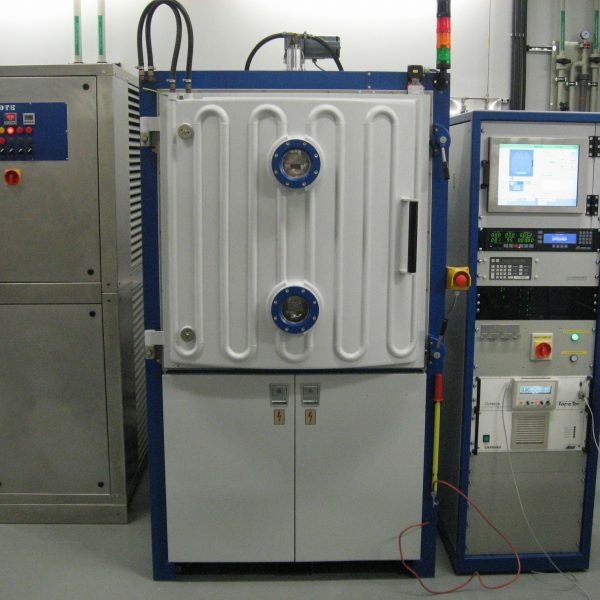 High vacuum pump : CTI onboard cryo pump with 9600 compressor for 100% oil free vacuum. 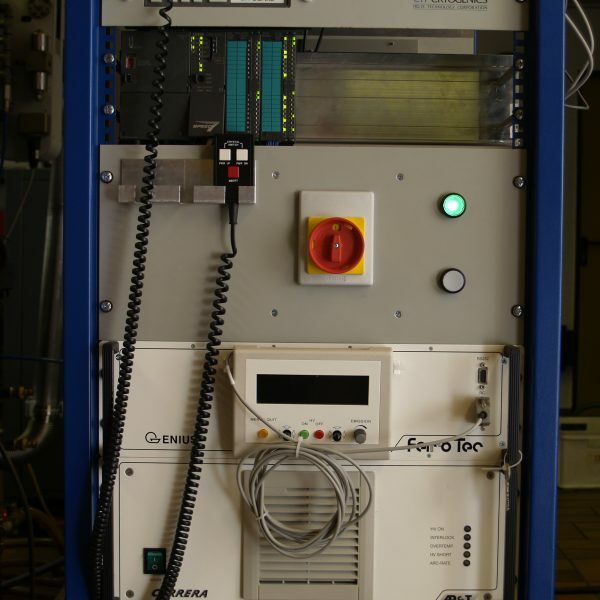 New Pfeiffer Vacuum measurement equipment (Pirani & combined gauge (Pirani – B&A)) (2010) Gauge system directly communicates with PLC. 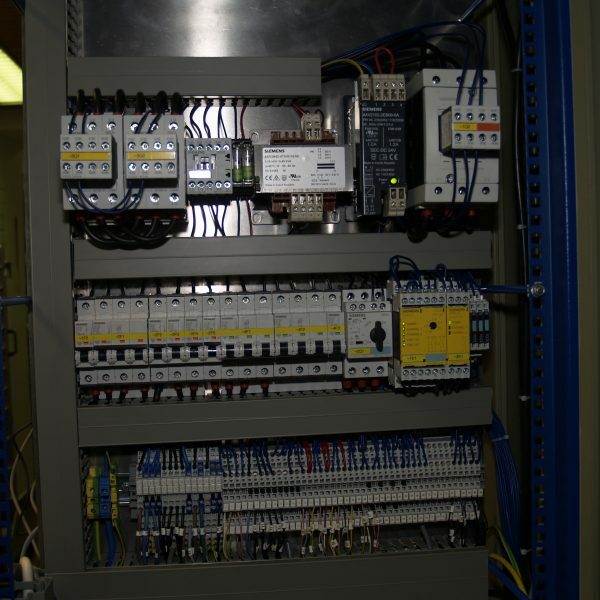 Optional onsite installation and operator instruction. 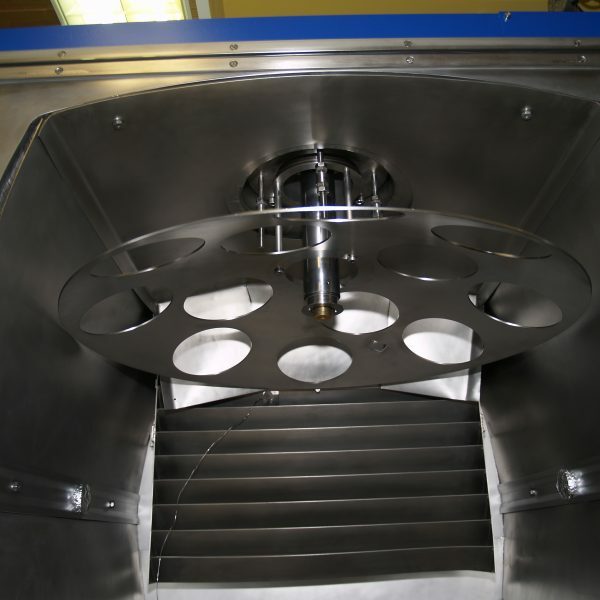 This is system is generally suited for many type of applications and materials and can be modified to your requirements if needed. For example; if you desire multi-pocket e-beam instead of single pocket; this can be installed. Download BAK760 brochure for hires images and information.